At Lady Boswell's we aim to serve our community by providing an excellent education for pupils of all abilities and backgrounds in the context of Christian belief and practice. We encourage an understanding of the meaning and significance of faith and promote Christian values and spiritual development through the experience we offer to all of our pupils. All the children participate in a daily act of collective worship which reflects our Christian foundation and character, although all parents have the option to withdraw their child should they so wish. 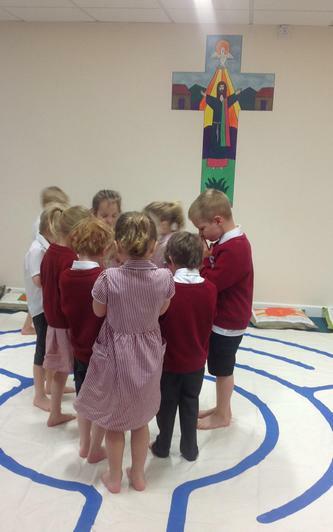 This year, we introduced Early Years Worship for our youngest children to worship separately for three days a week, based on the principles of 'Godly Play'. Our Worship Council meet regularly with the Deputy Headteacher. They help open and close our assemblies, write prayers and plan whole assemblies.